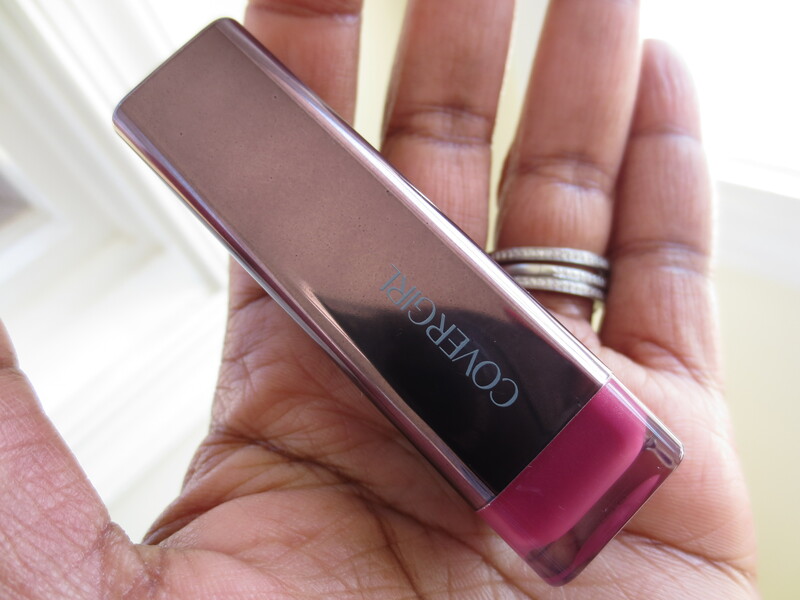 I’ve been using this pretty plummy shade from Covergirl for a while but never posted on it. I am not as taken with as many Covergirl lippies as I am the Maybelline Colorsensationals but I have a few that I love. I love a deal and these are under $10 at the drugstore which is huge. I just wish they came out with additional colors regularly like Maybelline. I hate that they are limited edition but regardless some of my favorite shades aren’t from the regular line. Take a look at Smitten! 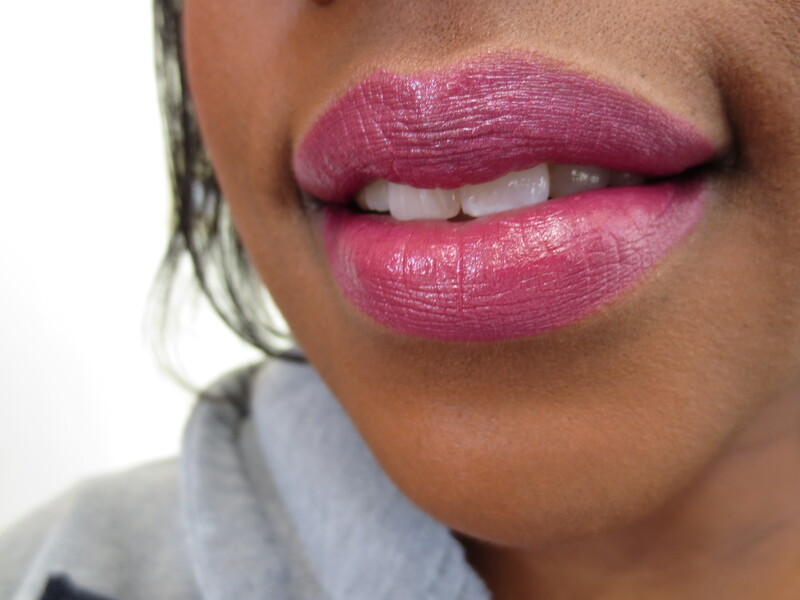 I love Smitten on the lips. It’s pinky-purple goodness! It’s not as “look at me” as my favorites the super red Hot and pretty fuchsia Spellbound but more wearable. Other favorites include Burn and the surprisingly beautiful Tempt. If your looking for a neutral don’t count out the Queen collection from Covergirl. My favorite everyday shade is Mocha Locha. They are all gorgeous but with the brights be careful. They stain! Take a look at this beautiful shade next time you are at the drugstore. There are always BOGO deals on Covergirl, consider getting this along with a bright shade if you don’t have one yet! I love that it’s an inexpensive one too! Oh – I like that one. Adding it to my list. I have a video or post idea for your. How about doing it on makeup lists. Everyone is adding things to their lists. I have a skincare/beauty product list, a MAC list, a drugstore list and a high-end makeup list. I would love to hear what kind of beauty lists you have. Crystal, I am so glad you posted about this color and the other one (the red one). You inspired me! I totally had forgotten about these lipsticks so on Sunday, I went to Kmart and to 4 different Walgreens to find the red one (can’t remember the exact color but you did a blog on it). Unfortunately everywhere I went the colors were already opened. Now, I have another color to add to my list. This is just so pretty! Thanks for sharing it!